The school that the singer or singers represent must hold a current MSVMA membership. All students participating in any festival must be members in good standing in the school‘s vocal music program. For all MSVMA activities, Grades 9, 10, 11, and 12 are designated as high school level. Grades 6, 7, and 8 are designated as junior high/middle school level. 9th Grade students may participate in solo/ensemble or choral festivals at the high school or junior high/middle school level, but not both. Once designated, the student must perform at this level through all district and state level festivals for that school year. All rules for participation, including repertoire and sight-reading requirements, would follow the designation of the festival. Ninth Grade students performing in the 7-8-9 SSA or 7-8-9 SATB Honors Choir would not be impacted by the solo/ensemble or choral festival designation. Requests for exemption to this policy must be made in writing to the Executive Board. Deadline dates will be strictly enforced to facilitate scheduling and assure a well-organized festival. District deadlines are posted on the district web pages. See the MSVMA calendar located on the MSVMA website for all other events deadlines. All required forms must be postmarked or hand delivered by the online registration deadline. FAXES will not be accepted. Appropriate fees must accompany all required forms. Payment is required for all Purchase Orders. Once fees are received, they are NON-REFUNDABLE. If a deadline is missed, the deadline appeals process may be used. The appeals process is as follows: If the director feels that there are extenuating circumstances, the director may appeal to the district manager for district events or the executive board director for state events. The district manager or executive board director may use his/her discretion and accept or reject the application based on each case's facts. 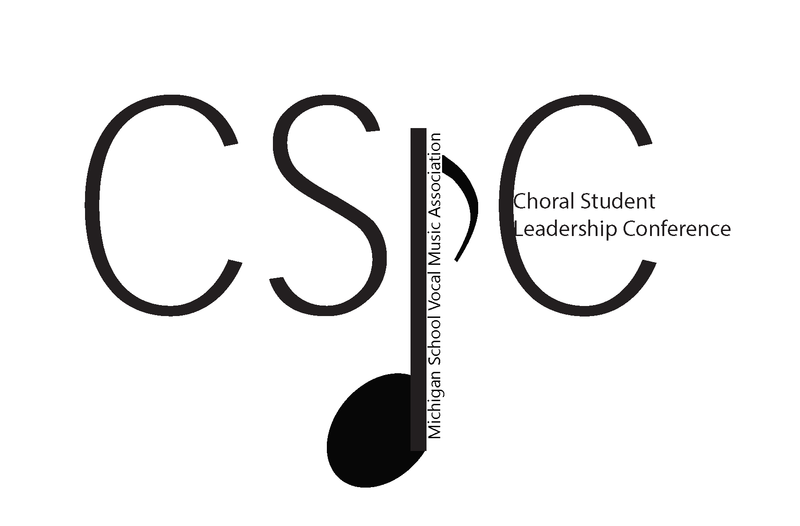 If the director wishes to further appeal the decision of the district manager or executive board director, an administrator of the member school may appeal to the Executive Board of the Michigan School Vocal Association for a final ruling. Each manager or supervisor will provide directors with additional information concerning place, dates, and scheduling of each event within the district. MSVMA does not allow the use of duplicated music by the performer/s or adjudicators, except when written permission from the publisher is presented. Music from CD ROM anthologies on the required list may be reproduced and must include the identifying logo on each page. This includes the use of computer generated Public Domain Files. However, the use of duplicated music for directors and/or piano accompanists, providing a copy of the purchased copyrighted score is in evidence (in addition to the score being used by the adjudicator) is allowed. A rating will not be issued for failure to comply with the guidelines. The performer will receive comments only. Medals for Division I and Division II performances will be sold on-site at all District and State Solo and Ensemble Festivals. Medals for Superior, Excellent, and Good ratings will be sold on-site at all District and State Choral Festivals. One certificate will be awarded for each event at all District and State Solo & Ensemble and Choral Festivals. Additional certificates will be available for purchase onsite. At district choral festivals, seals of excellence will be attached to the certificates of choirs receiving Superior or Excellent ratings in either Intermediate or Advanced sight reading. Plaques may be ordered from the Awards Supervisor for all entries receiving Superior or Excellent ratings at District or State Choral Festivals occurring in the 2008-2009 school year or later. Participation in all festivals is open to all schools holding a current membership. All student participants must be members in good standing in their school‘s vocal music program and their directors must be current MSVMA members. It is necessary to assess schools an additional fee for these events. These fees must be paid prior to or upon application for participation in any event. Each year the MSVMA sponsors festival events for choirs, large and small ensembles, and soloists. Students have an opportunity to sing for adjudicators and to hear other groups perform. The festivals are designed to be non-competitive. Directors have the option of having their students sing for a rating or for written comments only. The ―comments only‖ option provides students and directors with an opportunity to participate in adjudicated events for no rating. Directors are encouraged to consider this format and should indicate "CO" in the rating box on the submitted adjudication forms. Each of the events described in the following pages has been designed to support educationally sound objectives. These festivals have been very popular with students and directors. The wide range and variety of experiences should provide something for every taste and ability. Each festival participant and director is expected to conform to rules of good conduct, i.e., observance of care of property, behavior patterns, and adherence to all rules. Directors will show courtesy to all festival workers and ensure that proper adult supervision is present for their students at all events. Appropriate audience behavior and exhibiting undivided attention are to expected in all auditoriums and performance rooms. Students should show respect for other performers and give them the attention they would want themselves as performers. Communications regarding events are to be between MSVMA members and event supervisors only. Parents and students are not to contact event supervisors. Event applications and adjudication forms are to be completed only by directors. Directors will adhere to the schedule and leave the warm-up area when asked. Directors should use their ratings in an educational manner and not misrepresent them to the students or the public. Directors or festival participants will not attempt to influence the judges. At no time will anyone other than the event supervisor approach or contact an adjudicator regarding a rating or student‘s performance. Concerns are to be addressed to the supervisor or written on the adjudicator evaluation form. If, in the opinion of the event supervisor, a serious infraction has occurred, the MSVMA Executive Board is to be informed by letter. The Executive Board will take appropriate action which may result in the disqualification from participation in future festivals for a period of time not to exceed two years. Schools holding a current membership are eligible to participate in all district events. Applications must be made on the MSVMA website. FIFTH GRADERS MAY NOT PARTICIPATE IN ANY ACTIVITIES.